A few years ago on a photography course I had to create photos to symbolize & help a charity or a cause that you felt strongly about & I chose animal testing. I am a Vegetarian & have been for six years now but I realised that animal cruelty isn't just in the food industry but also a major factor of course in the fashion & beauty industries & the worst part is, is that it doesn't have to be. It may be hard to give up your favourite brand of make up or the perfect shade of foundation that feels as though it is tailored for you but most probably an innocent animal has had to pay the price for it. Laboratories around the world use any kind of animal they can get their hands on from rats, to rabbits, to puppies which are all abused day in & day out just for your favourite perfume or lipstick. To make myself stop using animal tested products all I had to do was google animal tested cosmetics for my course & I couldn't stop the tears. Since then I have refused to wear animal tested make up & have tried my hand at preventing animal testing. I have recently had to campaign against Cardiff University as the scientists there had been found using newborn kittens as test subjects. I switched to Animal Cruelty Free make up whilst I was on a photography course halfway through my training of being a make up artist so swapping my favourite Chanel pallettes & giving up my Mac pro card was hard but I soon realised that Non animal tested make up & beauty supplies can be found anywhere. 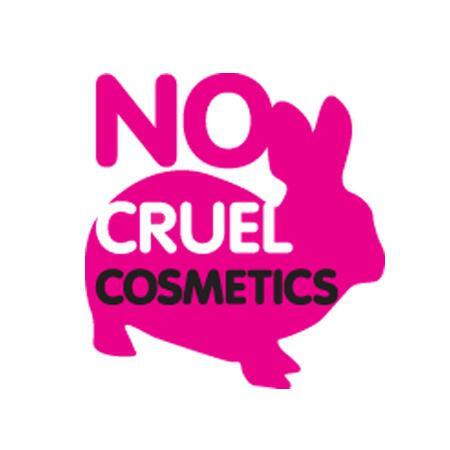 For me, my Animal cruelty free make products come from Bobbi Brown, Illamasqua, Superdrug own brand, & as featured in my make up bag, The Body Shop. & there are many, many more. I hope this post just makes all you beautiful girls out there who love their make up think twice that animals are paying the price & are tortured & used for you to look good. As I have mentioned before on this blog I am real nosey. I love looking into peoples stuff, & make up bags? Well they are no exception. So I thought it was about time to do one of my own. I thought I may as well include my face wash & such too. Aside from Lush, I cannot get enough of the Bodyshops haircare. Perfect for me as it makes my hair feel soft, new & smell amazing. I live by this Vitamin C Microdermabrasion face wash. It gets me through the winter with non dried out skin & with this tinted moisturizer, leaves my face looking fresh & dewy. This illuminator & Matte Primer are by far my favorites that I have come across in the make up industry. My go to foundation & new favourite face tint cream for when I cba to put much make up on. This lip tint is the best! Start off with a little bit in the centre of your lips & add more to make them darker. It's also a cheek stain so I dab three dots on my cheekbones & blend them in & use this as blusher. The mascara isn't the best I'll admit but as long as I have eyelash curlers I can make it work, This Vitamin E lip balm is a god send for all weathers & gets rid of cracked lips instantly. I always wear brown eyeliner & I find it makes my blue eyes pop. I love this brow kit. Tiny, compact, & cute. I had yet to purchase any of the Bodyshops home scents so I thought I'd get in on the action & buy a candle. It's smells like HEAVEN. I am doing the same last few years. And i even stopped using propyxxxx filled things. This is the harder way, when you have to choose your products from a list, but I believe it's the right way.